Even with iPhone shipments stalling as consumers hold on to their smartphones longer, Apple has stubbornly stuck with its premium pricing strategy, to the chagrin of its producers (not to mention shareholders), opting instead to stop reporting unit sales numbers for iPhones, iPads and Mac laptops. Even after its least successful holiday sales season since the iPhone's birth, CEO Tim Cook said Apple would consider lowering prices of its phones in some markets, but only to offset the strength of the dollar. But as Apple struggles to hold on to its dominance in the high-end smartphone market with its $1,000 phones, Google has clearly sensed an opportunity to grow its still tiny by comparison Pixel series of phones. 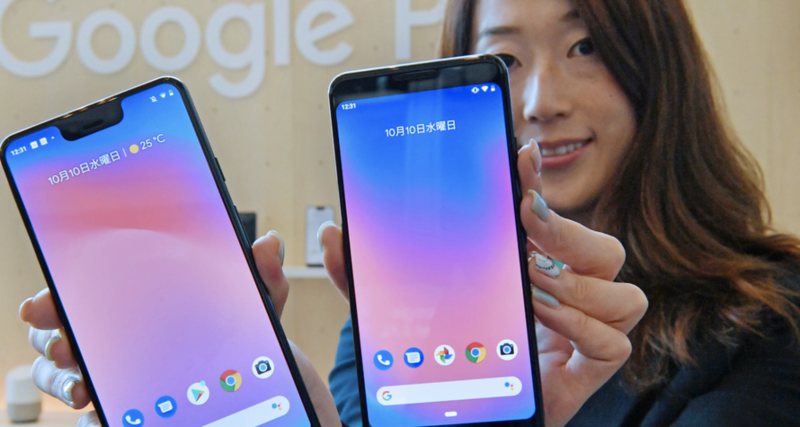 Because as Nikkei Asian Review reported on Wednesday, Google is planning to launch its first “non-premium” low-end smartphone aimed at budget-conscious US customers and emerging markets. Google's new smartphone will be its first non-premium model aimed at price-sensitive customers and those in emerging markets. It is expected to be priced lower than Apple's cheapest iPhone, the XR, which starts at $749. The latest model in Google's own Pixel range, released last October, started at $799. Midrange to highend phones are priced at between $150 and $700, while low end models sell for less than $150, industry sources said. The new phone will be the spearhead of Google's drive to expand the hardware using its operating systems. New products planned for this year include smart speakers, wearables and web cameras, sources familiar with the company's plans told the Nikkei Asian Review. Google also plans to launch a new premium phone in its Pixel range, as usual. And what’s worse for Apple, Google is reportedly focusing this effort on the market that’s giving Tim Cook & Co. the most trouble: Asia - specifically, China, where Google had until recently been planning to re-launch a Communist Party-compliant version of its search engine. The company has been on a hiring spree of Apple talent, while it improves its product partnerships across Asia. And rather than simply realizing the benefit of more unit sales, Google (which controls only a fraction of the smartphone market) also sees “synergies” in the collection of valuable customer data. To further its hardware ambitions, the internet giant is scooping up Apple talent and expanding its production partnerships across Asia. Over the last two years Google has hired hundreds of hardware engineers and supply chain specialists from Apple, people familiar with the matter said. It also acquired 2,000 engineers from embattled Taiwanese smartphone maker HTC in 2017. Google has only a small presence in the global smartphone market. Pixel shipments in 2018 were around 4.68 million units, or around 0.33% of the total market, research company IDC data showed. This compared with 3.45 million units, or 0.2% of the market in 2017. The expansion of Google hardware will allow the U.S. tech giant to drive more users to its services, analysts said. "Google...sees it as a more direct way to collect user data and make its flagship software and internet services a bigger and more integral part of people's everyday lives," said Joey Yen, an analyst at IDC. "Google's hardware push will make it difficult for people to live without Google's services and ecosystem...That's the big picture the internet giant always has in mind." And Apple’s suppliers couldn’t be happier. Meanwhile, suppliers are hoping Google's hardware ambitions will offset the difficulties they face as a result of Apple's troubles. The world's top electronics contract manufacturers, including key iPhone assemblers Foxconn and Pegatron and MacBook maker Quanta Computer, have been hit hard as Apple struggles with a slowdown in China and its first decline in iPhone shipments. Foxconn unit FIH Mobile, which produces Android phones including the Pixel, has increased production lines dedicated to Google products, one source said. The team at FIH Mobile that handles Google's business also receives bigger bonuses than teams serving other clients in the Android camp, such as Xiaomi, due to the U.S. company's healthier growth outlook, the source said. Pegatron meanwhile secured orders to build Google's Home Hub last year and has longtime production ties with Nest Labs. Quanta helps Google manufacture a majority of Home smart speaker products and serves as its key data center server builder. Compal Electronics, an iPad maker, is in talks with Google to start making smart speakers. Google is also more willing than Apple to shift production outside of China to avoid the trade conflict between Washington and Beijing, sources told Nikkei. Pegatron recently agreed to build a facility in northern Vietnam that could house 20,000 local workers mainly for producing Google products, according to people familiar with the matter. Could this be the final straw that finally forces Apple to cut prices or introduce a "non-premium" model of its own? Or will the company remain too concerned about cannibalizing its brand to change its strategy, and continue to try and convince Wall Street that it's too focused on hardware and not giving Apple enough credit for its services business.